Professional Audio & Television (PAT) announced today that they have been awarded the NOVA Entertainment national ‘Future Studios Project’ Master Supply Contract, for all On-Air audio infrastructure, AoIP Network Switches and System Control and Scheduling. 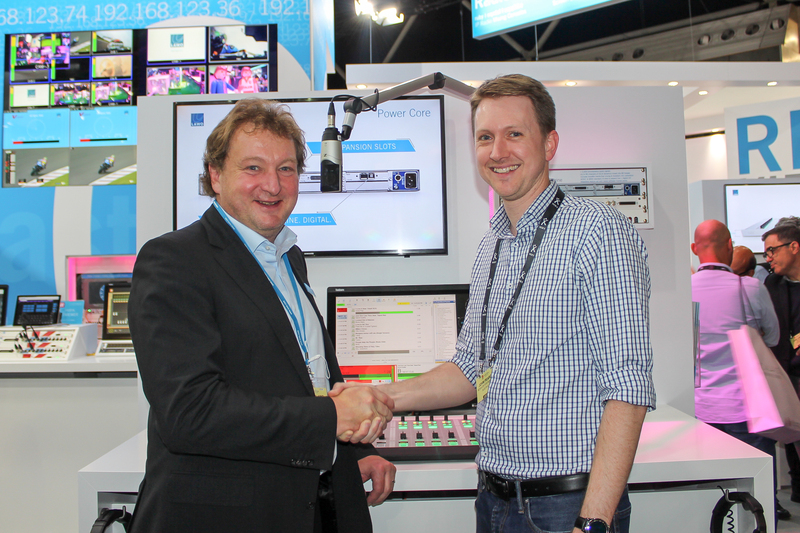 The deal will see PAT supply the number one FM network in the country with LAWO’s cutting-edge radio technologies to replace and improve the ageing studio and MCR infrastructure for all of NOVA Entertainment’s capital city radio stations. In December 2016 NOVA Entertainment released the ‘Future Studios Project’ tender to leading broadcast manufacturers. After a very thorough evaluation process and taking their extensive business needs into consideration, NOVA Entertainment awarded the contract to LAWO via PAT, their exclusive distributor in Australia & New Zealand. Leveraging the powerful arsenal of tools available including LAWO Power Cores, LAWO Vistool, LAWO Virtual Studio Manager and DSA Volgmann Line Scheduler, Professional Audio & Television, LAWO and NOVA Entertainment have designed the new national Nova Network allowing for unprecedented levels of software-defined control and redundancy. The system has been designed in such a way to allow 100% control for operational staff by presenting them with simple user interfaces driving a dynamic national platform. For operators, it can be as simple as swiping an RFID card when they enter a studio, triggering the recall of personal presets into the LAWO Ruby, changing Riedel Artist talkback key and party line assignments, drawing down pooled video and KVM resources, changing branding logo screens and the lighting profile to reflect the associated brand, and also connect remote talent affiliated with the show from anywhere else in the country. The system is using AES67 as the primary audio connection medium including 256 channels of hitless protection on each LAWO Power Core. LAWO Virtual Patch Bay (LAWO VPB) is also used for all virtual sound card applications as well as on board virtual mixers within the LAWO VPB instances. Connecting all the frames together are up to 4 x ARISTA 7050TX2-128 switches per site with full IGMP and PTPv2 support built in. Each site is expected to have upwards of 8,000 multicast audio streams.